Posted August 6, 2015 by Ryan Degnan & filed under A & T Healthcare. There are numerous levels of care and services that are available. A hospital is an institution for the treatment, care, and cure of the sick and wounded, for the study of disease, and is usually for a very short length of stay 3-5 days. Long term care hospitals (LTCHs) are certified as acute‑care hospitals, but LTCHs focus on patients who, on average, stay more than 25 days. Many of the patients in LTCHs are transferred there from an intensive or critical care unit. LTCHs specialize in treating patients who may have more than one serious condition, but who may improve with time and care, and return home. LTCHs typically give services like comprehensive rehabilitation, respiratory therapy, head trauma treatment, and pain management. Hospitals and Long Term Hospitals are usually paid for by Medicare, Medicaid, Managed Medicaid and Private Insurance Plans. Acute and sub-acute rehabilitation both provide patients with tools to help them regain skills they may have lost due to injury and to adapt to permanent disability. The primary difference between the two is the level of intensity. Patients in acute rehabilitation can expect daily therapy and may work with therapists for three or more hours every day, while sub-acute rehabilitation is less intense. When a patient is very sick, sub-acute rehabilitation is a better choice because the patient does not have the energy and strength to handle daily rehabilitation sessions. This can be useful for patients just recovering from surgery and injuries who need some rehabilitation, but are not ready for hard work. On the other end of the scale, patients who have completed acute rehabilitation and no longer need such rigorous sessions can step down to a sub-acute program. Skilled nursing (also called SNF or “sniff”) is a level of care that is licensed to administer medical treatment by nurses. Nursing Homes offer extensive nursing services for the residents. Admission must be initiated by a person’s physician, who recommends that a patient enter either ‘rehab care’ or a ‘special care’ facility. A large number of Nursing Home residents are long- term care patients. These are patients who require the treatment capabilities of a SNF, yet their condition requires continuous care. Nursing Home care includes nursing supervision, but it is custodial in nature. Here the condition is considered chronic and the nursing activities are focused on keeping the person healthy and safe. Some patients are admitted to skilled nursing to address an acute condition such as rehabilitating a broken hip, or treating an infection with IV antibiotics. Nursing Homes are usually paid for by Private Pay, Medicaid, and Long Term Care Insurances. In some cases the Medicare long term care benefits, and Private Insurance may pay for a portion of care for a short period. Assisted living offers seniors a place to live outside of their own home, where they can receive basic assistance with housekeeping, meal preparation, 24-7 monitoring, medication reminders, transportation, activities or socialization. Most assisted living facilities have a dining room decorated like a restaurant as well as a variety of activities. 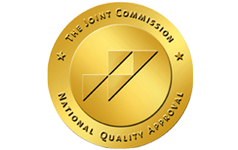 Most assisted living facilities are not licensed to administer IVs, requiring patients who need IVs to temporarily relocate to a skilled nursing facility. In assisted living, usually offers your own apartment and a private bathroom. Some facilities will have a kitchenette in the apartment with a sink, microwave, refrigerator, and cupboard space. Each apartment will likely be climate controlled individually. There will be access to common areas such as a TV room, an activity room, dining room, library, and communal sitting areas. Assisted Living is usually paid for privately by the resident. CHHAs provide part-time, intermittent health care and support services to individuals who need intermediate and skilled health care. CHHAs can also provide long-term nursing and home health aide services, can help patients determine the level of services they need, and can either provide or arrange for other services including physical, occupational, and speech therapy, medical supplies and equipment, and social worker and nutrition services. Services provided by CHHAs may be reimbursed by Medicare, Medicaid, some health insurers, and private payment. Certified Home Care Agencies are usually paid for by Medicare as well as Medicaid and Private Private Insurance if you qualify. 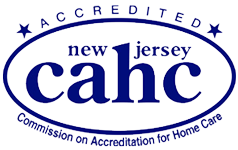 LHCSAs offer home care services to clients who pay privately or have private insurance coverage. These agencies may also contract to provide services to Medicaid beneficiaries whose cases are managed by another provider or entity, such as providing home health aide services to a certified home health agency patient or providing a licensed practical nurse for a Medicaid prior-approved private duty nursing shift. Senior housing is designed for high-functioning seniors, defined as those not requiring assistance with ADLs. Senior communities are usually neighborhoods or towns that are limited to people of a minimum age. Some designed for active seniors and have a variety of social clubs such as golf, arts and crafts and cards. While some senior communities offer additional levels of care, many are not equipped for individuals who require assistance with ADLs.